Mindfulness practice, at its foundation, is simple and straightforward (at least, the how, actually doing the practice can be another story). However, the practice of mindfulness is really our whole life. It's mindfulness practice which allows us to become more awake to our life as a whole and uncover countless insights that have a real and significant impact on the quality of our day-to-day life. 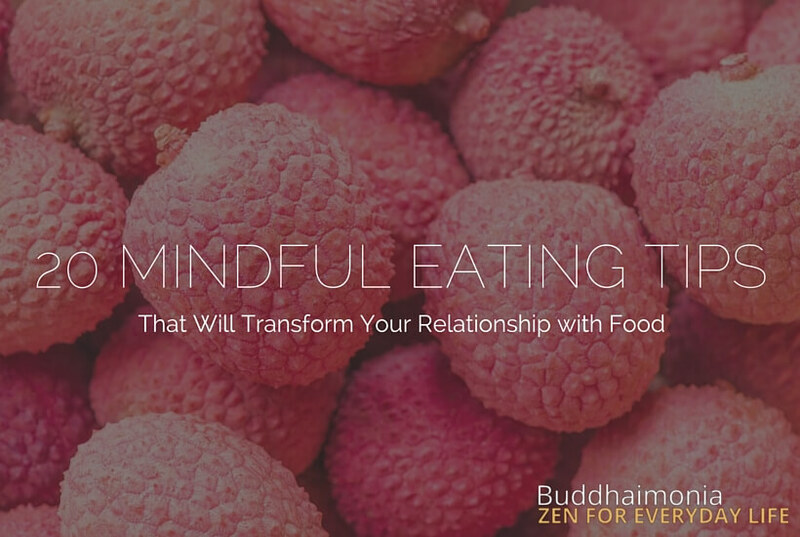 For this reason, mindfulness practice touches every aspect of our life. It includes what goes on within us, from the story we tell ourselves in our day-to-day life with thoughts and imaginations and the myriad of feelings we experience such as fear, anger, and sadness to the sensations we feel in the body and how the mind and body are really interconnected as one whole, sensations affecting the mind and thoughts and feelings affecting the body. However, it goes much further than that. It can change our relationship with loved ones for the positive, improving our patience and priming us for greater understanding, compassion, and loving-kindness. Years ago, mindfulness and meditation practice changed my life in real and significant ways and it continues to do so today (some of which are associated with what I mentioned above). The words below might seem like simply enjoyable blurbs either confirming your life's experiences or beliefs or insightful reading which can open your mind to a new idea. And they are exactly that. Over the past 30 years, the practice of mindfulness meditation (mostly a secularized version originating from Jon Kabat-Zinn's Mindfulness-Based Stress Reduction program) has spread throughout the West. Today millions of people all around the world are discovering the power of mindfulness through the practice of formal meditation. However, mindfulness practice extends beyond just sitting on the meditation cushion. Mindfulness practice doesn't stop at being mindful of the breath. In just the same way that we are mindful of physical sensations in the body along with thoughts and emotions in the mind while we meditate, we can become mindful of feelings, thoughts, and emotions throughout our everyday life. Activities such as walking, cleaning, and driving can be transformed from mundane autopilot activities to moments in our day where we stop the habitual rushing around (even if only for a moment) and come alive to the beauty and peace of that moment. All it takes to begin living a more mindful life is to do a few minor activities mindfully more often. The result starts out small, but quickly these little moments of mindfulness practice can spread into the rest of your life in the same way that the effects of a consistent sitting meditation practice spread into the rest of your life (provided it's with a consistent effort) and positively affect everything you do. Below are 10 easy ways to start being more mindful in your daily life. My suggestion? Pick 1-2 of these to work on at first. By focusing in on a few small moments each day you'll be more likely to follow through and develop mindfulness into a daily practice throughout your life. What if you’re not interested in the “what” and the “why” and just want to know how to practice mindfulness meditation? The cool thing is, you don’t need to know anything else to practice mindfulness. The what and the why are valuable and worth learning about, but mindfulness practice is a deeply personal experience and something you can only truly understand having practiced for yourself. Well, I’ve got good news. 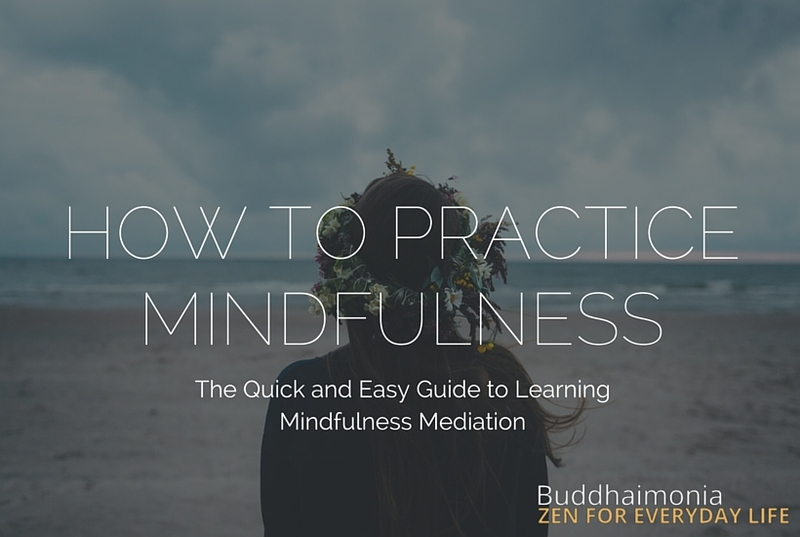 If you want to know how to practice mindfulness in simple, clear, and straightforward language with no extra fluff- this is the only guide you need. And if you want to learn more and really delve deeper into the practice? I’ll provide a whole suite of guides, resources, and guided meditations which you can utilize, all for free, at the end of this post as well. Mindfulness is always mindfulness of something, so the instructions below will be on the most basic and fundamental of mindfulness practices: mindful breathing. In the practice of mindfulness, you're very lightly and loosely concentrating on something while being mindful of everything which arises within your field of awareness (think: being clearly aware in an open and all-inclusive way). Just know this is perfectly normal and that, with time, your mind will begin to quiet and become quite clear. Mindful breathing can be done as a form of sitting meditation or just standing in your home, office, or outside in nature and for even a few seconds. There are really no restrictions to the practice, but it's most often done as a form of sitting meditation for at least a few minutes at a time. That's how I suggest you do your first few mindfulness practice sessions. Start by finding a quiet place, somewhere with the least possible distractions. Nowhere will be perfect, just find a decent spot. Next, find a comfortable sitting position. To keep it simple, for now just sit on the floor in a cross-legged position or in a chair. Straighten your back and neck, place your hand in your lap, and look down 3-4 feet in front of you. Now, either close your eyes or let your eyelids naturally fall so that they remain about 1/2 open. Keep in mind that eyes closed can make you more likely to fall asleep while meditating (a common problem), while eyes half-open may feel odd at first and distract you. For now, either is fine. Simply turn your attention to your breathing. Follow each in-breath and out-breath from beginning to end. Place a firm but soft focus on the breath. Do not attempt to control your breath, simply observe it silently. Your silent observation will slowly begin to calm your breathing naturally. This may be easier said than done in the beginning but make your best effort. Do this for as many weeks or months as it takes until you can count to 10 with little to no effort. Then count each inhale + exhale as one. Then, when that becomes easy, stop counting and simply follow your breath. Don’t rush this step, progress slowly. Understand in advance that various thoughts, feelings, and sensations will arise while being mindful and make you lose your concentration on the breath. In the beginning, you'll likely be interrupted constantly and feel like you're doing something wrong. You're not and it really is that difficult for everyone, in the beginning, to stay concentrated on the breath. This will be difficult at first, you’ll lose focus on your breath constantly. Stay focused, after a while your mind will begin to grow quieter. That's it! That's all there is to it. The practice of mindfulness, in this case specifically mindful breathing, is simple and straightforward. Just keep in mind that while the practice won't necessarily feel easy in the beginning, it will get better typically in a very short period of time (in a few weeks you should start noticing a calmer and quieter mind). In the beginning, it's about making meditation a daily habit. That means don't worry about how long you're practicing for. Practice mindful breathing for 1-3 minutes for the first 1, 2, even 3 weeks. Really, in the beginning, nothing more is necessary and even with that you'll notice a big difference in how you feel. After a while, you'll feel gradually able to sit down for longer and longer periods. Practice x2 a day. To further develop your mindfulness meditation practice into a strong daily practice, sit twice a day (preferably morning + afternoon or night). Remember, you're meditating for just 1-3 minutes so there should be no reason you can't do it. Your mind will feel like a jungle. Don't sweat it. I said this earlier, but I feel it's important enough to mention again. People often feel like they're doing something wrong, or like something's wrong with them. Nothing is wrong at all. It's perfectly natural to feel like you're jumping out of your skin, unable to focus on one point for more than even 3 seconds. This will quickly begin to change if you stick to a consistent daily practice. Be gentle with yourself throughout the process. Don't go into mindfulness meditation thinking that it's easy. It often isn't. In the beginning, you're likely to not be able to notice clearly what is arising. You'll just know you've lost your mindfulness. At best, you'll know you were thinking about "something" but not know exactly what. But there is the possibility that some uncomfortable thoughts and feelings can arise while meditating. Be kind to yourself and know that whatever happens is totally natural and not a sign of any personal shortcoming. Keep in mind that the above list is constantly growing. Each week I future a new guided meditation on the Zen for Everyday Life podcast. You can listen to the podcast on the blog here or on iTunes here. No matter what brought you to the practice of mindfulness, I hope you discover the beauty of the practice and that it helps do for you what it did for me so many years ago.